VietPress USA (July 12, 2018): Before he left Brussels for the U.K., Trump accused May of ruining what her country stands to gain from the Brexit vote to leave the European Union. 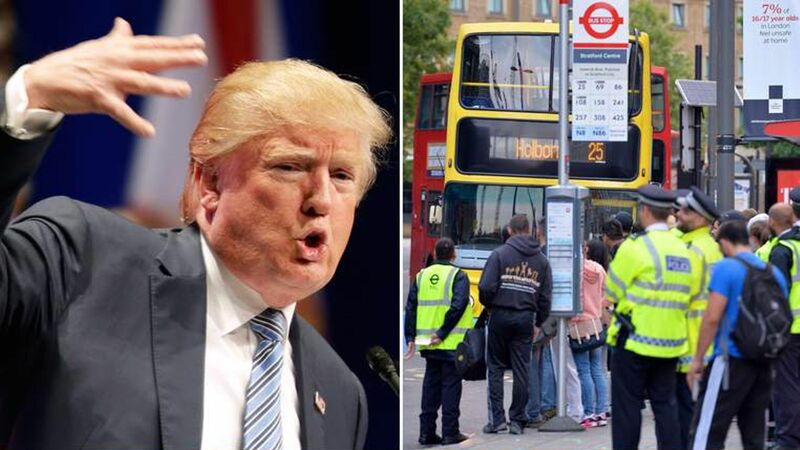 Trump, in the interview given The Sun newspaper, he said PM Theresa May's former foreign secretary, Boris Johnson, would make an "excellent" prime minister. Boris Johnson resigned his position in protest over May's Brexit plans some days ago. Trump added that May's "soft" blueprint for the U.K.'s future dealings with the EU would probably "kill" any future trade deals with the United States. Trump threatens that "If they do a deal like that, we would be dealing with the European Union instead of dealing with the U.K., so it will probably kill the deal". Trump said to The Sun news paper that he felt unwelcome in London because of protests, including plans to fly a giant balloon over Parliament on Friday that depicts him as an angry baby in a diaper. BLENHEIM PALACE, England (AP) — Dishing up a fresh dose of chaos on his European tour, President Donald Trump left behind a contentious NATO gathering in Brussels and moved on to Britain, where a pomp-filled welcome ceremony was soon overshadowed by an interview in which Trump blasted Prime Minister Theresa May, blamed London's mayor for terror attacks against the city and argued that Europe was "losing its culture" because of immigration. 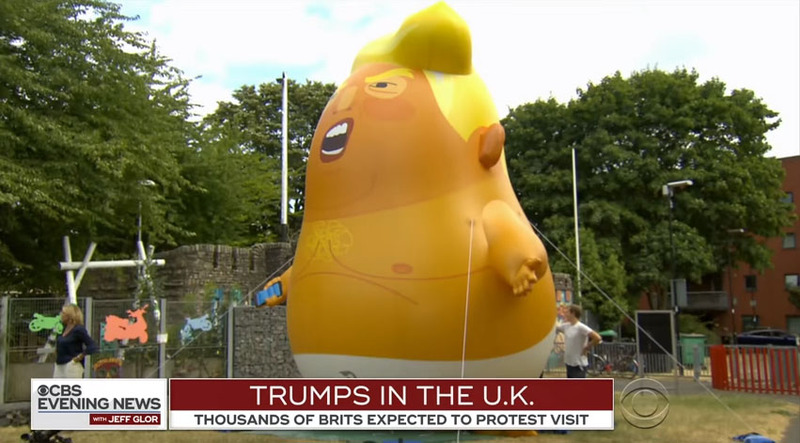 Trump, in an interview with The Sun newspaper, said he felt unwelcome in London because of protests, including plans to fly a giant balloon over Parliament on Friday that depicts him as an angry baby in a diaper. In sharp contrast to the president's sharp words, Trump's first event in England was an oasis of warm greetings at an evening reception at Blenheim Palace, birthplace of Winston Churchill, the larger-than-life British leader cited by the president as a model of leadership. That was just one of several helicopter rides on the agenda for Trump, whose staff opted to keep him largely out of central London and the swarms of demonstrators who are likely to provide some of the defining images of his first official trip to the U.K.
Trump's Marine One departure from the ambassador's residence was met by jeers from demonstrators banging pots and pans, and another pack of protesters lined roads near the palace. Some of their signs read "Dump Trump," ''Lock Him Up" and "There Will Be Hell Toupee." Police worked overtime, their days off cancelled.